Such a way with words, those Wookiees. 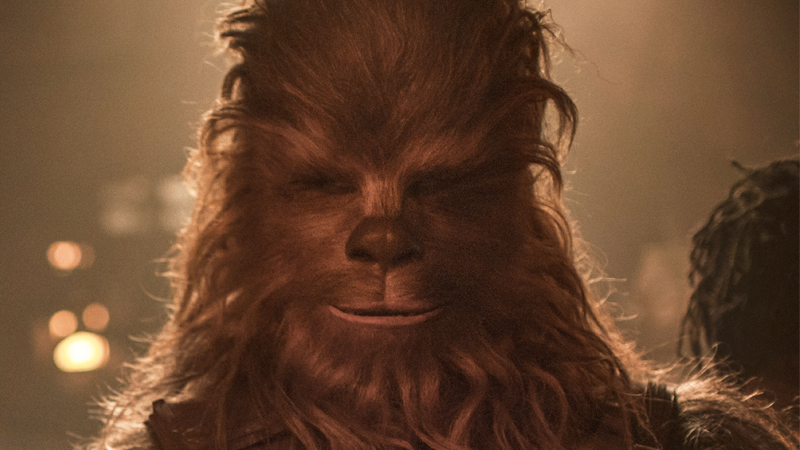 Shyriiwook, the given name of the Wookiee language, has always been a bit of a Star Wars mystery, if only because our experience with it is mostly the whines and growls of Chewbacca. But it turns out, before it gets turned into those famous roars on the set of Solo: A Star Wars Story, Shryiiwook sounds like a very cursy bit of English. Or Galactic Basic, to keep it in the galaxy far, far away. EHRENREICH: [Laughs] There’s probably a great version of the movie where they just leave all those things in! SUOTAMO: I would love that, but there are some swear words. EHRENREICH: [Nods] There’s a lot of swear words. SUOTAMO: I heard one particular swear word wasn’t cut until the very last moments where they found a bear sound, and I was devastated. They should have stopped looking and just left it in there. I like to think that Chewie really is just cursing at everyone around him through the Star Wars films, and Han is just acting as a bit of a filter for his ruder expletives. 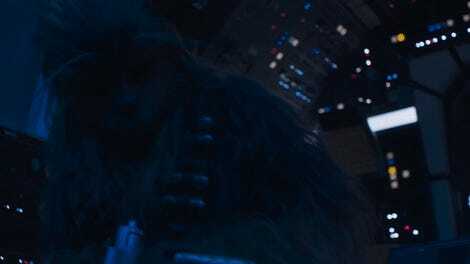 Someone get to dubbing all the Chewie scenes we have so far with a lot more “fucks” added, pretty please?